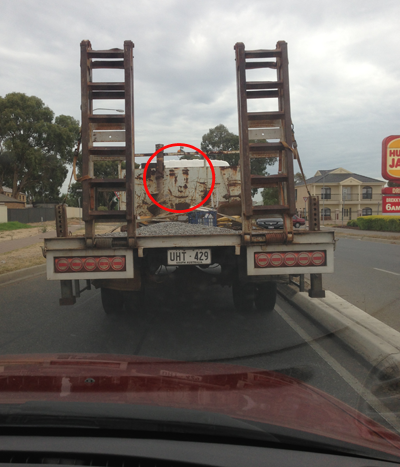 Stuck behind a truck this morning I notice this “face” made of rust on the cab of the truck. Kind of reminded me of the Man of Colours album cover by Ice House. Also looks kinda artsy, maybe a little “Cure” like too.